Condensing unit are available from 8 HP to 60 HP. 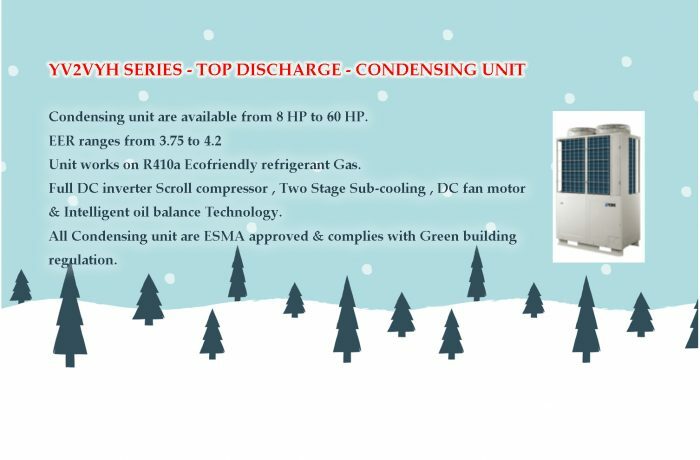 Full DC inverter Scroll compressor , Two Stage Sub-cooling , DC fan motor & Intelligent oil balance Technology. All Condensing unit are ESMA approved & complies with Green building regulation.